I’m increasingly using my practice to understand what I take for granted, and for me a critical first step is to enhance awareness of my environment. This means slowing down, looking more closely, listening more carefully, and being far more open to subtlety. 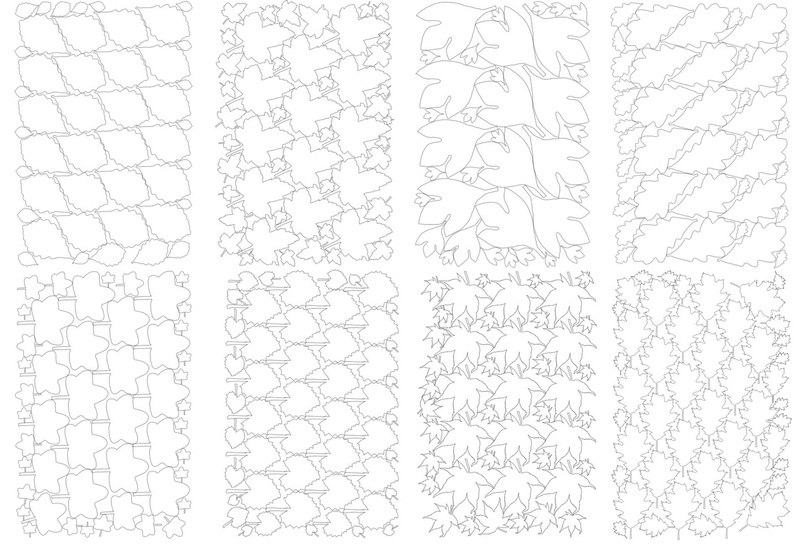 In being more mindful, I’m exploring how places have unique acoustic footprints - for example, a forest of deciduous trees sounds different from one dense with pines. Pine needles absorb and dampen sound, whereas a deciduous tree’s broad flat leaves reflect sound waves and create a less muted area. While working in the rain, I’ve also found deciduous areas become strikingly percussive as rain drops hit the leaves. 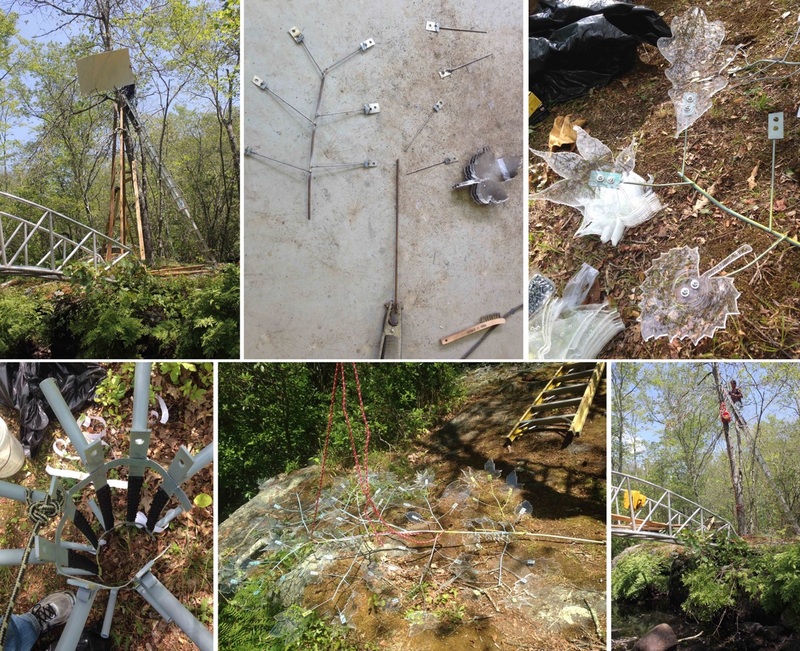 The idea for this project began a few years ago when, hiking in upstate New York, I noticed that sound produced by a waterfall was louder as I walked among deciduous trees, compared to its sound resonating off the pines. The subtle diversity of forest acoustics stayed with me, and in this piece I seek to promote sensitivity to different sound prints within I-Park Foundation’s environmental art park. Located in East Haddam, CT, I-Park covers a nearly 500 acre landscape with features such as a mix of deciduous and pine trees, meadows, rock cliffs, a huge network of hiking trails, and the robust Eightmile River. As a sculptor I’m interested in treating sound as a material because it stands in sharp contrast to the marble, wood, and bronze that are often used in formal training; sound is fleeting, invisible, intangible. 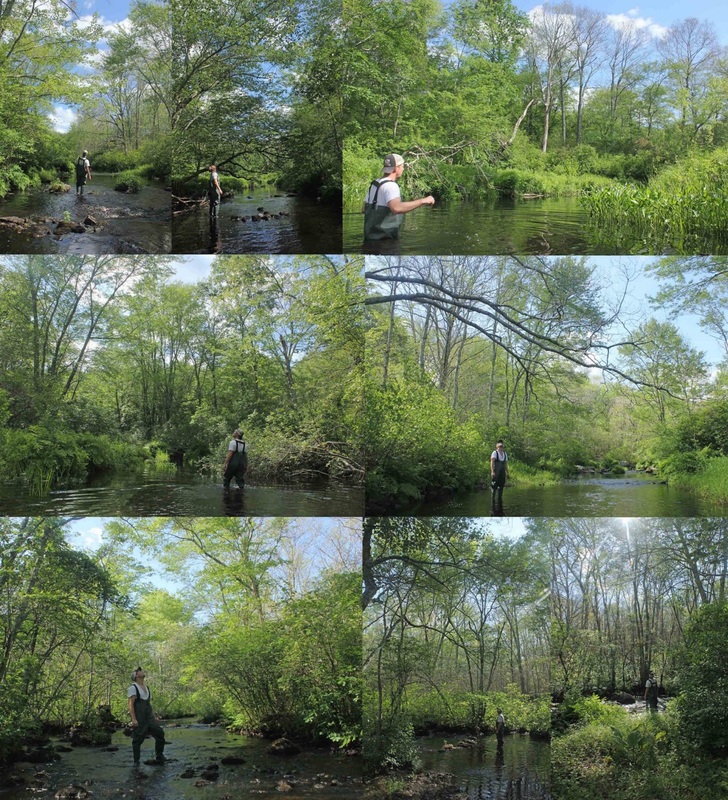 To find just the right acoustic site, I began by wading the Eightmile River, exploring constriction points where the water’s rapids were turbulent enough to be audible, and then honing in on locations with tree-lined banks to investigate how the acoustics might integrate into the installation. 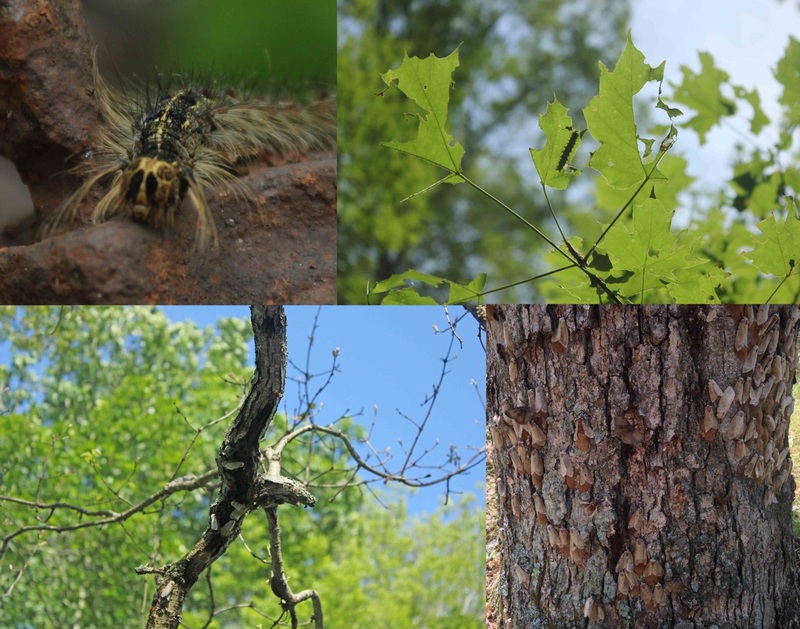 When I arrived, I found that I-Park was being hit hard by an invasive gypsy moth, a species that favors deciduous trees, and in the caterpillar stage these moths consume oaks and maples bare of their leaves. In the 1800s, the moths were introduced into Massachusetts from France by an artist and amateur etymologist in an attempt to harness them for textile silks, and they escaped from his backyard. During dry years, a fungus that deters the moths cannot grow on the trees, and so moths can flourish in its absence. Oaks can survive after being eaten once, but if the trees are stripped in consecutive years they die. In I-Park’s forest I observed huge stands of bare deciduous trees, which seemed uncannily like the woods in winter with brighter and lighter visibility than normal. I found a denuded oak tree on a small trail along the Eightmile River bank near a gentle rapid, and this installation is a humble attempt to replace the once lush canopy to subtly mimic the acoustics when the tree was in full cover. 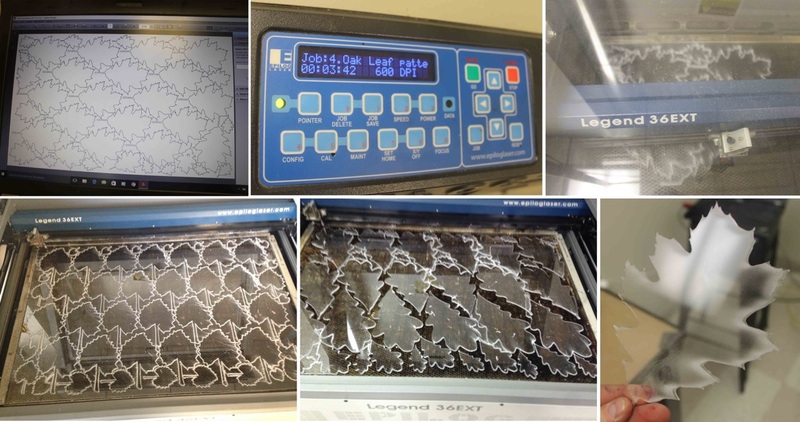 I laser cut sheets of clear acrylic into over 500 deciduous leaf shapes, creating a nearly invisible sculpture (it’s translucency makes it difficult to photograph) to draw attention instead to the acoustical quality of the deciduous leaves. 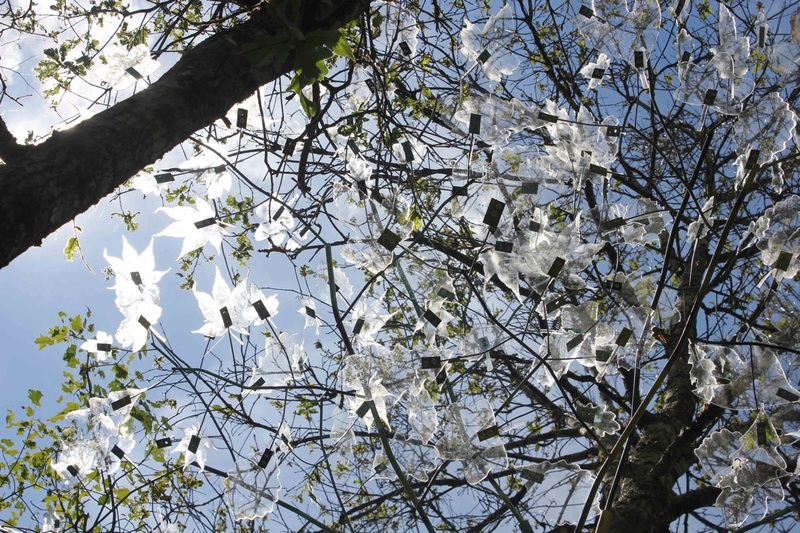 I bolted the translucent leaves onto a welded steel branch system fabricated at the park during my residency. The branches attach to a custom steel jacket safely secured to the trunk (in a way that won’t harm the tree) 17 feet off the ground because the location is susceptible to flash floods. 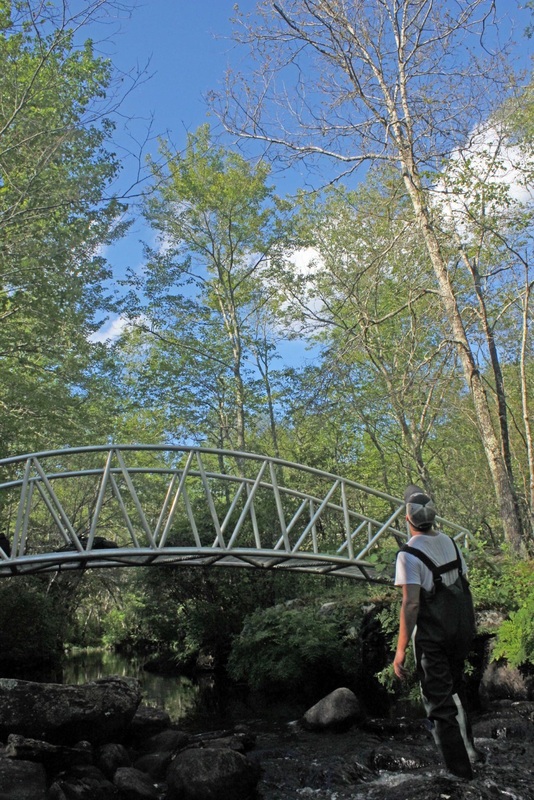 To allow an encounterer an opportunity to experience the site in relation to its surroundings, I manicured a trail system along the river that leads people to other sites with varying types of canopies. 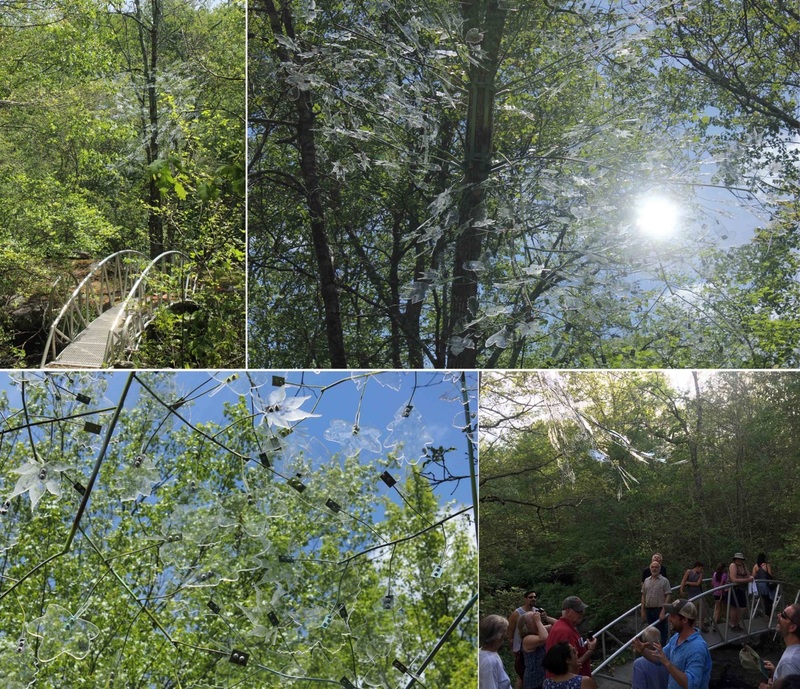 The resulting work was not designed to be an audacious in-your-face installation; rather, its acoustical contribution to the forest is subtle at best, and visually its translucent leaves are elusive, looking like a dandelion blowball once the flower has gone to seed. 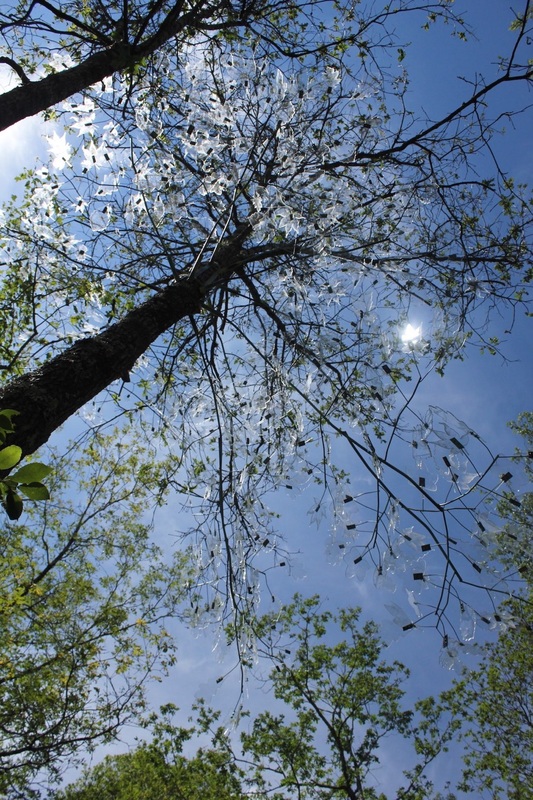 It is my hope, however, that for those hiking nature with mindful attention, the tree and its plastic canopy gently remind them that when an invasive species is introduced into an ecosystem, recovery to its original state may be unlikely.